It is easy to baffle someone with jargon – just throw in some big words and stress the burden of negative repercussions. Old school solicitors are notorious for digging holes deeper. 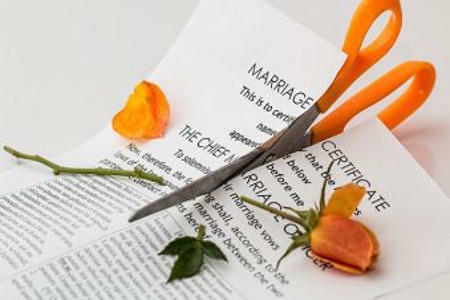 For example, if you approached them about getting a divorce, they would be likely to write unnecessary letters to drive up the costs and delay your situation. A friend on the other hand, would be prepared to help you fast-track through a difficult time so that you can get on with your life and build up your happiness again. In a marriage, couples often learn to compromise and ‘rub along’ with what appears to suit everyone in the family. For those who get divorced, they feel a need to reinvent themselves and learn to think for themselves again. Embracing your new found independence is great to help overcome the emotional state of your situation and move on. Each individual will react in different ways to a bad situation, some want forgiveness, some revenge but most of all couples want closure. Dwelling on a bad relationship isn’t good for your health and it is best to get as much help as possible during this stage. It is best to not underestimate how hard it could be and to use the help of a Divorce Negotiator to guide you through the process and help you deal with it. The following case study explains how Divorce Negotiator made it clear that it’s much better to sort it out through a negotiated agreement.